A report by Rory Smith for the New York Times. 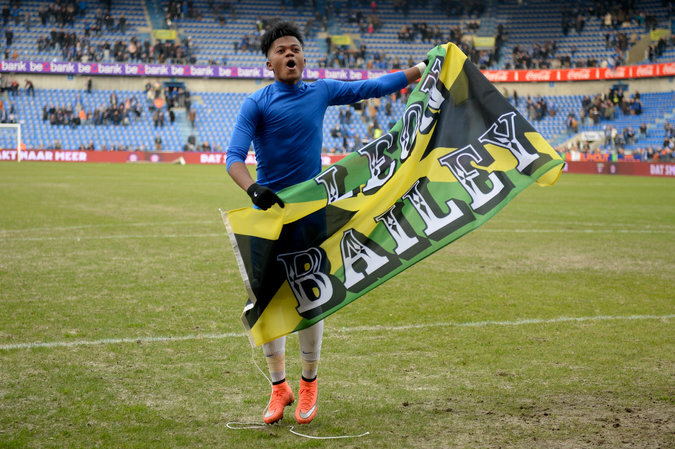 As far as Leon Bailey is concerned, he has been representing Jamaica on the international stage since he was 12 years old. He may never have played for his country, not competitively. He may stand accused of lacking patriotic pride because he cannot guarantee that he will ever do so. But as he outlines his long, remarkable journey from Kingston, all the way to Bayer Leverkusen, the Bundesliga and the cusp of stardom, he makes it perfectly clear that — in his eyes, at least — who you are is not just where you are from. Wearing a jersey is not the only way to fly a flag. Over the last two years, first with Belgium’s K.R.C. Genk and now with Leverkusen, the 20-year-old Bailey has emerged as one of the most dazzling prospects in European soccer, a wing of blistering speed and rare talent. Leverkusen saw off interest from clubs in England to sign him in January 2017, but the club privately accepts that his performances since then guarantee that the Premier League’s big beasts, among others, will soon be back. That is not the only feeding frenzy Bailey has triggered, however. He has played only once for Jamaica, his homeland — in an exhibition game for its under-23 team in 2015. The senior team “would love” to be able to call on him, according to Michael Ricketts, the president of the Jamaican Football Federation, but to date Bailey has refused frequent invitations to join up. Until he does, as far as FIFA is concerned, he is a citizen of nowhere. Given his gifts and his youth, that has not gone unnoticed. Soccer officials in Belgium have investigated whether Bailey might be able to represent them. England, encouraged by a suggestion that Bailey has British ancestry, has sent scouts to assess him. His current home, Germany, has fielded several naturalized players in recent years, drawn from nations as diverse as South Africa and Brazil. Just how feasible any of those options are is open for debate: While Bailey believes he is eligible for England, for example, the link seems to be through his adoptive family, which would not meet FIFA’s criteria. What is beyond question is that Bailey is prepared to explore any and all options — including, perhaps, even reassessing his Jamaican one. He will not definitively rule out that team being Jamaica — “I would never say never” — but he does not seem hopeful. He has called for sweeping changes at the J.F.F., but he knows such things “take years” to carry out. There is limited sympathy in Jamaica for Bailey’s concerns, of course. Usain Bolt has offered his support, and the Jamaica Gleaner columnist Tanya Lee has said she does not take his “refusal to play personally,” pointing out that Jamaica itself has fielded foreign-born players in the past. But others are less understanding. “You either want to play for Jamaica or you don’t,” the former international Paul Hall said this year. Ricketts has suggested that Bailey is caught in the middle of a power struggle. He has accused Bailey’s adoptive father, agent and mentor, Craig Butler, of wanting “a job at the Jamaican Football Federation in exchange for his son” playing for the national team. Outside the Caribbean, too, Bailey’s equivocation sits uneasily. Choosing a country is not supposed to be like choosing a team: It is meant to be a matter of the heart, not the head. Some, like the Brazilian-born Portuguese internationals Pepe and Deco, change nationality with little problem; it was accepted that their loyalty to their adoptive nation was genuine. Others attract more scorn: Diego Costa, choosing between Brazil and Spain; Adnan Januzaj, working out whether to represent Albania, Kosovo, Serbia, England or Belgium; or Jonathan Gonzalez, preferring to represent Mexico over the United States. All were seen to be putting their own interests first, asking not what they could do for a country, but what a country could do for them. Bailey’s case does not lend itself to such a binary assessment. He is in no doubt that he is Jamaican — “100 percent Jamaican,” he said — and he rejects the idea that he is considering shedding his nationality, or his identity. That is something Bailey has been conscious of ever since he left Jamaica — perhaps earlier, right back to the moment, at the age of 8, that he first encountered the key figure in his rise: his adoptive father, Butler. When Bailey was 12, Butler, convinced he could not fulfill his potential amid the privations of Jamaican soccer, decided to take him and Kyle Butler to Europe. They flew to Austria, for a trial with Red Bull Salzburg. They had little money to tide them over and no idea how long they would be away. “I did not know when I would come back,” Bailey said. “I was 12. I just did whatever my dad said.” He would not go home, or see his mother, for four years. He played for various teams in Austria — some officially, some simply on trial — and had spells training with Genk in Belgium, Ajax in the Netherlands and A.S. Trencin in Slovakia. At 17, he was forced to return to Jamaica because of problems with his paperwork. But at 18, as soon as FIFA’s rules allowed it, he signed a contract with Genk. By the end of his first season, he had been voted the best young player in Belgium. Leverkusen had become aware of him years earlier, during a trial at Ajax. “We heard there was this crazily talented Jamaican kid there,” said Jonas Boldt, the club’s sporting manager. As Bailey started to attract notice in Belgium, the club’s scouts recommended him again. Intrigued, Boldt went to watch him. He made up his mind instantly. 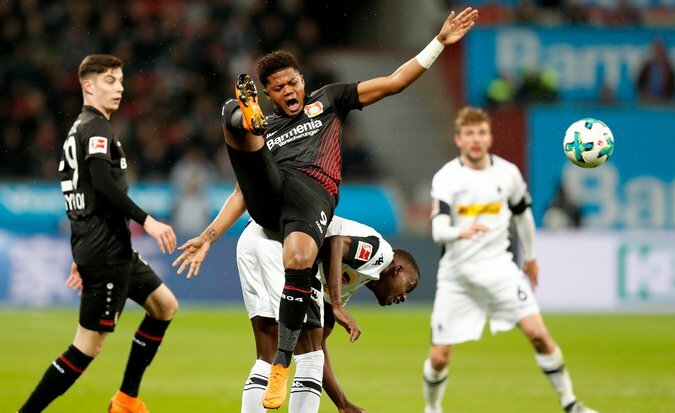 While Bailey’s other suitors debated his merits, Leverkusen moved in hard in January 2017 and signed him. “It has been a long journey,” Bailey said. Through it all, though, he has been driven not only by his own ambition to be “classified as the best player in the world,” but by something grander. “Everyone’s dream at the Phoenix academy is to become a pro,” Bailey said. To Bailey, that is the best way to represent his country, and he does not need to wear its jersey to do that. He pauses when asked if it would mean as much to play for Germany, Belgium or England as it would to pull on the green, black and gold of Jamaica, then says he thinks it would. “When you live in a place for a while, you get to know its culture and its people,” he said. He draws a parallel with Raheem Sterling, a close friend who was born in Kingston but now represents Manchester City and England. Bailey will always be Jamaican. He will always consider himself a representative of Jamaica, whatever nation he ends up choosing. But that does not mean he believes that nationality is fixed, that who you are is only where you are from. Blood does not make you family, and wearing a jersey is not the only way to fly a flag.